Though we’ve seen nothing from Microsoft, Gearbox or 2K mentioning any sort of special offer, Borderlands: The Handsome Collection is now available for free in the Microsoft Store. Weird. Update: It’s a gift from Microsoft! Reader Nick sent in a tip letting us know that the two game bundle, which includes both remastered versions of Borderlands 2 and Borderlands: The Pre-Sequel, mysteriously showed up on the “Ready To Install” page of his Xbox One today. Another reader, Mark, sent us a link to the Microsoft Store page, where the game is currently available for no money. We’ve checked Microsoft and 2K Twitter, Facebook and general information pages and haven’t seen any indication that this is supposed to happen. The game is still $59.99 on the PlayStation Store for PS4. I was able to process the free transaction, and now the two games are downloading to my Xbox One. Over at NeoGAF folks are saying the game is listed on Smartglass as part of the Free Play Days promotion, though the Microsoft Store page makes no mention of any such promotion. If this is a Free Play Days thing, we can expect the download to expire in a few days, with a prompt to pay full price afterwards. 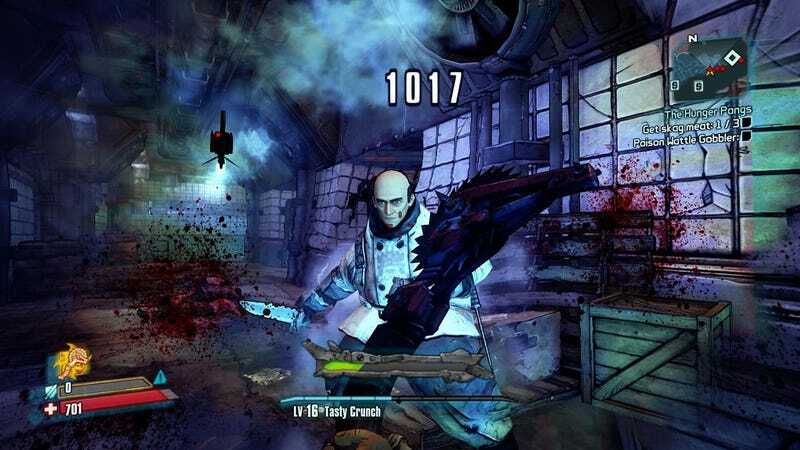 Whatever the case, fluke, timed free play or generous promotion, free Borderlands is a good thing.